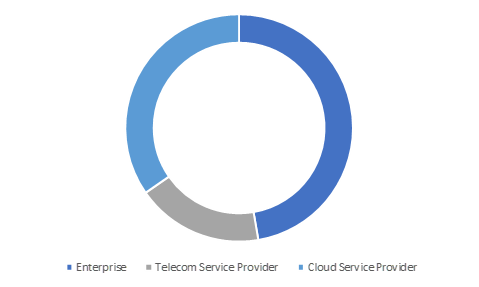 Cloud Service Provider « Global Market Insights, Inc. The telecommunication sector is probably embarking on a transformational shift in recent years. Software Defined Networking (SDN) market is deemed to be a major stipendiary of this transition. Telecommunication networks, apparently, have migrated from traditional hardware and appliance centric deployment to cloud based model, with software playing a pivotal role in network functionality. The increasing popularity of SDN industry can be majorly attributed to this fundamental aspect. Software defined networking emerged as an advanced architecture paradigm, amalgamating different technological capabilities applied to management of network functions, design, and service platforms. Pertaining to these benefits, numerous IT service companies have been feverishly changing their perspective toward adoption of software-based solutions for resolving several business challenges, which in a way is impelling SDN industry share. As claimed by Cisco in its latest Cloud Index report- over 67% of all data centers would adopt SDN technology partially or fully by the end of 2021, a sharp rise from what it recorded in the year 2016 which was only 16%. Cradlepoint, one of the formidable players in SDN market, has recently made it to the headlines with the launch of its NetCloud service package, that reportedly includes advanced IBR1700 mobile router. Reportedly, this newly designed solution package for its NetCloud platform, brings the benefits of SD-WAN (Software-Defined Wide-Area-Network) to LTE mobile networks for transit operators, first responders, and other fleet-based organizations. As claimed by the cloud-4G network service provider, the new solution is in compliance with the security and performance requirements of FirstNet, the independent authoritative entity under NTIA within U.S. In a bid to reinforce its position in SDN market, Orange Business Services has recently signed a collaborative agreement with Cisco. Apparently, in consequence of this deal, the former is planning to showcase the onboarding of Cisco’s SD-WAN virtual network function on Cisco ENCS (Enterprise Network Compute System). In fact, with the aforementioned platform under its belt, Orange Business Services’ customers would gain a fully functional visualized solution for their network services, as a part of Orange universal CPE offering. The proposition is certain to aid Orange Business Services to establish its stance in SDN industry, especially when the firm has been inclining readily toward intent-based networking and software-defined networking. The U.K. based telecommunications behemoth, Colt Technology Services, has apparently declared its plan of expanding its On Demand SDN service across APAC belt. Powered by Colt IQ Network, the firm’s On Demand SDN services are characterized by high flexibility, real-time bandwidth variation, and agility. Making a profound headway in APAC SDN market share with the successful launch of these services in Japan, Colt is planning to introduce the same On Demand SDN services in Hong Kong and Singapore as well in the second quarter of this year. Tremendous technological interventions in the telecom sector have evidently narrowed the gap between developing and developed nations, giving SDN industry players lucrative opportunities to extend their geographical reach. However, considering the immense investments by U.S. telecom service providers in software defined networking, the regional SDN market has undoubtedly turned out to be hotbed for potential investors. For instance, American telecom giant AT&T has recently poured in USD 200 million to support startups that mainly focusses on promoting SDN technology and connected services. These kinds of hefty investments toward integrating new age software facilities in the existing telecommunication network is certain to leave a positive impression on U.S. SDN market size. 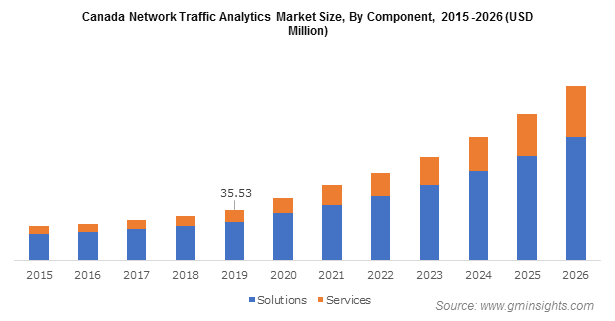 Speaking of its commercialization potential at the global scale, overall SDN industry size is forecast to exceed a valuation of USD 88 billion by 2024. With incessant efforts undertaken by the tech giants to unlock software-based technology potentialities in telecommunication industry, which has, of late, become more insight driven, SDN market demand is claimed to be on a robust incline. In fact, looking at the pace of advancements and expansion in its application spectrum, this particular business vertical is deemed to be one of the most fascinating spheres to watch unfold, claim analysts. This entry was posted in Sustainable & Smart Technologies and tagged Cloud Service Provider, Enterprises, Physical Network Infrastructure, SDN Applications, SDN Controller, SDN Market, SDN Market Analysis, SDN Market Forecast, SDN Market Leaders, SDN Market Share, SDN Market Size, SDN Market Trends, Software Defined Networking Market, Software Defined Networking Market Forecast, Software Defined Networking Market Share, Software Defined Networking Market Size, Software Defined Networking Market Trends, Telecom Service Provider.